The following are substantial excerpts from the 2009 book The Bible Compass, authored by Dr. Edward Sri. Thanks to Matthew Pinto and Mike Flickinger of Ascension Press for allowing me to reprint this material. Now it is time to launch. In the previous chapters we laid the foundation for how to interpret the Bible and addressed basic questions about the canon of Scripture, the trustworthiness of the Bible, the biblical world, and the Bible's "big picture." This chapter is intended to help equip readers to begin studying the Scriptures on their own. Here we will discuss some of the important resources and methods with which one needs to be familiar in order to get off to a good start in studying the Bible. Why are there so many translations of the Bible? What are the differences, and which one is the best? With so many translations of the Bible to choose from, one of the first fundamental questions a student of the Bible must face is: "Which version should I use?" The Bible was written in three languages: Hebrew, Aramaic, and Greek. Most of the Old Testament was written in Hebrew, with some deuterocanonical books written in Greek and some other passages written in Aramaic, a Semitic language related to Hebrew that was used for international affairs in the ancient Near East and was increasingly used by the Jews after the Exile. With the rise of Greek culture in the third century BC, Greek became the international language. Many Jews in the first century spoke Greek, and when the New Testament authors wrote their works, Greek was the main language used. Hence the ancient New Testament manuscripts were written in Greek, with the exception of a few passages that present Christ's words in Aramaic, the language he spoke. At many points in history, the Bible has been translated into the common language of the people reading and hearing it. Even before Christ, the Old Testament was translated into Greek in the third century BC to serve the needs of the Greek-speaking Jews dwelling in Egypt. This translation, known as the Septuagint, became widely used especially among Jews outside Palestine and was used much by the New Testament writers themselves. (For more on the Septuagint, see Chapter 9.) Similarly, when Aramaic became the common language spoken by Jews in Palestine, the custom arose in the synagogues of offering the people an Aramaic paraphrase and explanation of the Scriptures read in Hebrew that day. These Aramaic paraphrases of the Bible were called targums (see Chapter 11). In the early Church, as Christianity spread to non-Greek-speaking peoples, the Bible was translated into Latin and Syriac as early as the second century. It later came to be translated into diverse languages such as Coptic, Armenian, Ethiopian, and Old Slavic. The most famous translation of the Bible is the Latin Vulgate, which became the norm in Western Christendom for more than a thousand years. In the English-speaking world, two translations of the Bible dominated the landscape for almost four hundred years: the King James Version (1611) for Protestants and the Douay-Rheims (1609-1610) in the Catholic tradition. However, since the mid-1940s, a plethora of new English translations have emerged. The dramatic increase in new versions is partly the result of a greater desire among Christians to have a translation based on more ancient and reliable manuscripts that are now available. Moreover, as many new Greek texts from antiquity have been discovered, scholars have gained a better understanding of the Greek language and are thus in a position to make a more accurate translation of the Bible than in past generations. Finally, since the English language itself has evolved, older translations use words or phrases that are no longer commonly used or that have changed meaning, thus leading to difficulties in understanding. All this has led many scholars and Christian leaders to call for new translations of the Scriptures. There are two main approaches to translating the Bible: 1) formal correspondence (or "formal equivalent") translations are more "literal" or "word-for word" translations that seek to correspond as much as possible with the grammatical structures and lexical forms of the original Hebrew and Greek manuscripts; and 2) functional or dynamic equivalent translations aim to communicate the original meaning of the biblical text, but are not as concerned about maintaining the grammatical structures, lexical forms, and idioms of the original text. Here are some Scriptural examples to illustrate the differences between these two approaches. The RSV translates Acts 11:22 "News of this reached the ears of the Church at Jerusalem." As a formal correspondence translation, the RSV follows the Greek more closely and maintains the idiom in the Greek text about the Church having "ears." In contrast, the Good News Bible, as a dynamic equivalent translation, tries to communicate the meaning of this idiom and avoid expressions that might be awkward in modern English. Thus, the Good News Bible drops the image about the Church having ears and offers a simpler translation that communicates the sense of this verse: "The news about this reached the Church in Jerusalem." Both approaches have value. Dynamic equivalent translations tend to be easier to read since they sound more natural in modern English and seek to offer the reader more assistance in understanding the meaning of the text. One shortcoming, however, is that these translations more often reflect the opinion of what some scholars say about the meaning of the text, leading readers to a particular interpretation which may or may not correspond to the original meaning itself. Since no two languages are the same, all translations involve some level of interpretation. But the formal correspondence approach attempts to remain closer to the original text, even if that means keeping certain idioms or expressions that are a bit awkward in modern English. This approach is comfortable leaving various interpretive options open and allows readers to explore the meaning of the text themselves. Thus the formal correspondence approach is helpful for more serious study of Scripture, since it makes it easier to examine the structure of the original text and notice the sacred writers' literary techniques such as word play, verbal allusions, and repetition of key words, which are more often left out in dynamic equivalent translations. Some popular formal correspondence translations include the Revised Standard Version (RSV), the Revised Standard Version-Catholic Edition (RSV-CE), the Douay-Rheims, and the New American Standard Bible (NASB). Popular dynamic equivalent translations include the New Jerusalem Bible (NJB), the Good News Bible (GNB), and the New English Bible (NEB). "In-between" translations, i.e., those that employ principles from both approaches, include the New American Bible (NAB) and the New International Version (NIV). Of these, the following are Catholic translations: the New American Bible (NAB), the New Jerusalem Bible (NJB), the Douay-Rheims, and the Revised Standard Version — Catholic Edition (RSV-CE). For as the rain and the snow come down from heaven, and do not return there but water the earth, making it bring forth and sprout, giving seed to the sower and bread to the eater, so shall my word be that goes forth from my mouth; it shall not return to me empty, but it shall accomplish that which I purpose, and prosper in the thing for which I sent it. God's inspired words in the Bible have the power to change lives dramatically. When a fourth-century man named Anthony walked into a church during Mass, he heard the following words from the Gospel: "If you would be perfect, go, sell what you possess and give to the poor, and you will have treasure in heaven" (Mt 19:21). Moved, Anthony sold all his possessions, gave the money to the poor, and eventually became the great hermit and patriarch of monastic life, St. Anthony of the Desert (c. 251–356). When a young man named Augustine found himself intellectually convinced of Christianity but unable to free himself from his sexual sins and convert to the Catholic faith, he opened up the Scriptures to a passage in Romans that calls readers to "put on the Lord Jesus Christ, and make no provision for the flesh, to gratify its desires" (Rom 13:14). Though Augustine's conversion was a long, gradual process, his encounter with this biblical text unlocked something for him spiritually and had an immediate effect: "For in an instant," he later wrote, "... it was as though the light of confidence flooded into my heart and all the darkness of doubt was dispelled." At that moment, Augustine finally committed himself to the Christian life, and he eventually became a great bishop, saint, and Doctor of the Church. Not all Christians can expect to have an extraordinary encounter with the Scriptures like Sts. Anthony and Augustine. Nevertheless, the Bible is meant to be read as a personal word from God to each of us, experienced as a word that touches our souls, shapes our lives, and leads us into ever deeper union with the Lord and his Church. As Vatican II taught, "In the sacred books, the Father who is in heaven comes lovingly to meet his children, and talks with them." But do we truly experience the Scriptures in such an intimate way? The Bible Compass seeks to assist readers who sincerely desire to understand the Bible and know God better through the sacred books but are uncertain about how to begin studying the Scriptures effectively. In addition, this book will address the many questions readers of the Bible face today and equip them with the background and the practical steps they need for their own personal journey through the Bible. My hope is that, armed with this background, readers might find greater confidence and clarity in studying the Bible and that they may encounter the Lord and their Catholic faith more deeply when reading the Scriptures. On a basic level, this book will address common, fundamental questions about the Bible itself: What does it mean that the Bible is inspired by God? What is the relationship between Sacred Scripture, Sacred Tradition, and the Church's Magisterium? We also will consider questions about the Bible's origins and development: How did the early Church determine which writings were part of the New Testament canon, and how did the Church view other writings, such as the gnostic gospels? How did the Old Testament canon come to be, and why do Catholics have the seven deuterocanonical books that most Protestant Bibles leave out? And, finally, questions about the Bible's trustworthiness (i.e., in what sense is the Bible without error) will also be addressed. These five keys not only help ensure that our reading of the Bible stays on the right track but also serve as lights on our path, illuminating our understanding of the Scriptures so that we can seek Jesus Christ in the sacred texts — or, in the words of Pope Benedict XVI, "Look for the Word within the words." In addition, this book will open up the biblical world for readers, acquainting them with the Dead Sea Scrolls, Josephus, ancient rabbinic writings, and biblical maps to show how archaeology, geography, and history can shed light on our understanding of the Scriptures. We will also walk through the twelve periods of biblical history, tracing the development of God's plan of salvation from the Old Covenant into the New and connecting each of the Bible's seventy-three books with their corresponding periods. With a general grasp of the "big picture" of Sacred Scripture, readers will have a framework for understanding how the many "smaller" biblical stories fit together in the one drama of God's plan of salvation. Finally, we will conclude by offering an introduction to the resources, translations, and methods commonly used for Scripture study, as well as some reflections on how to pray with the Bible using the traditional method of lectio divina. 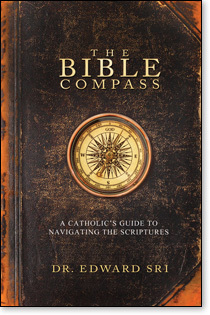 In sum, The Bible Compass is meant to serve as a basic handbook for Catholics in their study of the Sacred Scriptures, addressing common questions they have about the Bible and equipping them with practical guides for reading and interpreting the sacred books. In order to make the Church's teachings about Scripture more readily accessible to lay readers, we will quote from Vatican II's Dogmatic Constitution on Divine Revelation (Dei Verbum) and other sources as they appear in the Catechism of the Catholic Church. Moreover, while we will draw on biblical scholarship to elucidate certain points, it is beyond the scope of this book to enter into the current scholarly debate on the various topics addressed. 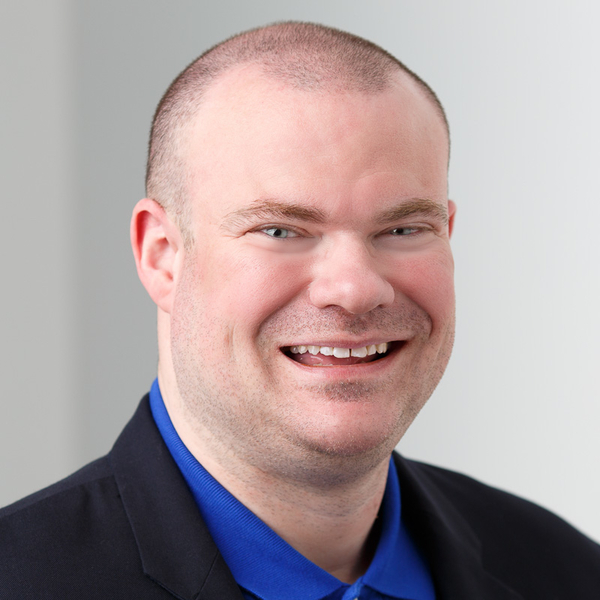 Rather, our goal here is to simplify the many relevant issues regarding hermeneutics, canonicity, divine revelation, and biblical history for the average Catholic who wants to know and study the Bible better.